Function will make your life easy and your peer’s life easier !! Information is passed in a function as a parameter. In the above example, x and y are two parameters. You can also create a function without any name, it is called Lambda function. It is a small anonymous function which can take any number of arguments, but can have only one expression. Let’s learn the basics of Lambda function. Below is the lambda function to add two numbers. Why do we need a Lambda function? Look at the above function hello. It has a parameter n which is passed as the string “Data”. This string is saved in x. Now if you pass a number to “x”, then it will be used as a and will multiply Data with 4 in this case. When you don’t know the number of arguments to pass to a function, then you need to pass a variable parameter. What *args allows you to do is take in more arguments than the number of formal arguments that you previously defined. With *args, any number of extra arguments can be tacked on to your current formal parameters (including zero extra arguments). 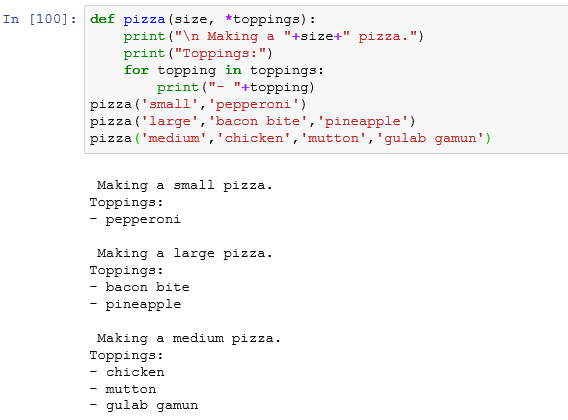 Below is how a variable parameter is passed to a pizza function. The special syntax **kwargs in function definitions in python is used to pass a keyworded, variable-length argument list. One can think of the kwargs as being a dictionary that maps each keyword to the value that we pass alongside it. That is why when we iterate over the kwargs there doesn’t seem to be any order in which they were printed out. 1. What is the difference between tuple and list? 2. How to store a dictionary in a list? 3. How to store a list in a dictionary? 4. Create a list using a loop and fill the list with square of numbers from 1 to 10. 5. Write a program to sum all the elements of the list. You can either go through the previous days session or google these out. Loop and functions are two most important topics in the basics of Python. You need to have a really good hand on loop and functions. In a while loop, a condition is checked first and then the content or body of the loop is executed. A for loop is used for iterating over a sequence which could be anything like a list, a tuple, a dictionary or a set. 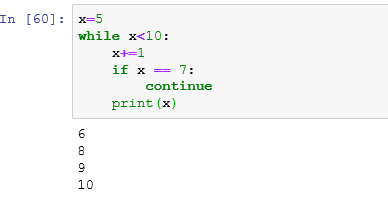 One of the most important thing which you need to learn in Python is the use of conditional statement. These are small code snippets which will help you solve multiple problems in a project or any hackathon. Conditional statements help us to apply a particular constraint on the data set. Suppose you want to pull the data only for a particular employee or user; or you want to filter the data for a particular date; or you want to count how many male and female are there in the given data set, every where you will be using these conditional statements. Every programming language have almost the same conditional statement and Python is not an anomaly. We will try to keep it crisp in this post but it will keep on haunting you in the upcoming posts, so, try to learn the basics here before proceeding. 1. if is simple conditional operator where you put a condition and filter the data set or mould the data set in a particular manner. We know that you already know a lot about Python and it’s capability in the Data Science domain. b. Assignment Operator – These include =,+=,-=, etc. c. Comparison Operator – These include >,<,<=,>=,!=,etc. d. Logical Operator – These include and, or, not. 9. List is mutable and is a collection which is ordered and changeable. By mutable we mean that you can change the content of the List. A list can contain any data type. 10. Tuples is an unchangeable and ordered collection. List uses a square bracket, whereas tuple uses round brackets. The value of the element of a tuple cannot be changed, thus it is called immutable. You can completely delete the tuple, but can not add element or delete element from the tuple. 11. 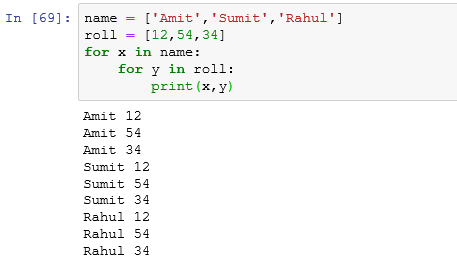 Set is another data structure in Python which is unordered and unindexed. Sets are defined by curly brackets. You can add new items. To add one item you can use add() method, and to add multiple items you can use update() method. remove() and discard() functions are used to remove an item from the set. Similarly you can use pop() to remove an item, clear() to empty the set, del to delete the set completely. 12. Dictionary is one of the most important and used data structure in Python. It stores the values in key-value pair. It is changeable, unordered and indexed. 5-6 years back Java was said to be ever lasting. Everyone wanted a Java developer in their team. Looking at the current scenario, we can safely assume that Python is and will be one of the most used Programming language across multiple domains ranging from software development to web development and Data Science. Talking particularly about Data Science, Python is blessed by a humongous community of Data Scientists who contribute a lot to the development and betterment of the language. Apart from the community, the libraries and packages which are regularly developed are making it easier for people to explore Data Science. We will try to cover everything in Python so that you get fluent in at least one language and in the current era if you have to choose one language to better your career, then do give a shot to Python. Once you have Anaconda in your system, execute it. It will take ~10 mins to get it done. 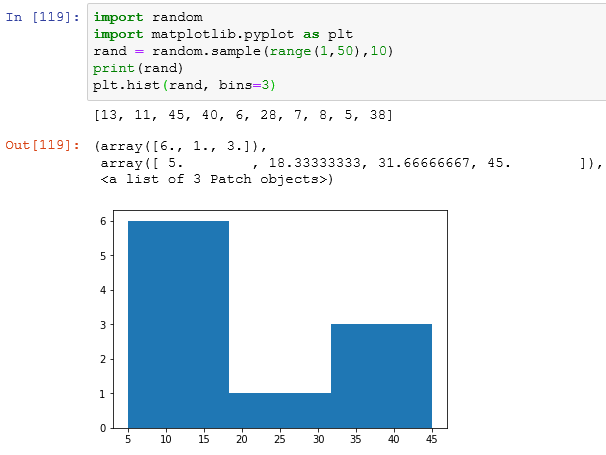 From the start itself, try to use Jupyter notebook for your Python programming. How to launch Jupyter Notebook? Once you have installed Anaconda, you will get an Anaconda Navigator in your start menu or on your desktop. print(“The Data Monk”) and press Shift+Enter to run the line of code. The output will be shown just below the code. In the next few days, we will import a lot of libraries, try out some good algorithms and visualizations, and will solve some case studies. If you have already installed everything, then hop on to Day 21. 1.What is a population and a sample? Population is the complete targeted group of people/objects on which the analysis needs to be performed. If the target is Mumbai population then the population will be the total number of people living in Mumbai. A sample is like a subset of the population. Most of the times you won’t be able to do your complete analysis on the Population data set as there will be hundreds of millions of rows and processing it will consume a lot of time. So, we take a sample of data which should be random and unbiased from the population. 3. What is a nominal data set? Nominal data is recorded as categories in a data set. For example, rocks can be generally categorized as igneous, sedimentary and metamorphic. 4. What are the types of variables? Continuous Variable – A variable that can take on many different values, in theory, any value between the lowest and highest points on the measurement scale. Independent Variable – A variable that is manipulated, measured, or selected by the researcher as an antecedent condition to an observed behavior. In a hypothesized cause-and-effect relationship, the independent variable is the cause and the dependent variable is the outcome or effect. Dependent Variable – A variable that is not under the experimenter’s control — the data. It is the variable that is observed and measured in response to the independent variable. Qualitative Variable – A variable based on categorical data. Quantitative Variable – A variable based on quantitative data. In general, statistics is a study of data: describing properties of the data, which is called descriptive statistics and drawing conclusions about a population of interest from information extracted from a sample, which is called inferential statistics. 5. What are the types of measurements in statistics? The mean is the most common measure of central tendency and the one that can be mathematically manipulated. It is defined as the average of a distribution is equal to the SX / N. Simply, the mean is computed by summing all the scores in the distribution (SX) and dividing that sum by the total number of scores (N). Heights of five people: 5 feet 6 inches, 5 feet 7 inches, 5 feet 10 inches, 5 feet 8 inches, 5 feet 8 inches. The sum is: 339 inches. Divide 339 by 5 people = 67.8 inches or 5 feet 7.8 inches. The mean (average) is 5 feet 7.8 inches. 7. Give an example of a median. Find the median of 5 feet 6 inches, 5 feet 7 inches, 5 feet 10 inches, 5 feet 8 inches, 5 feet 8 inches. Line up your numbers from smallest to largest: 5 feet 6 inches, 5 feet 7 inches, 5 feet 8 inches, 5 feet 8 inches, 5 feet 10 inches. The median is: 5 feet 8 inches (the number in the middle). 8. Give an example of mode. Example: Height Chart with people lined up in order of height, short to tall. Find the mode of 5 feet 6 inches, 5 feet 7 inches, 5 feet 10 inches, 5 feet 8 inches, 5 feet 8 inches. Put the numbers is order to make it easier to visualize: 5 feet 6 inches, 5 feet 7 inches, 5 feet 8 inches, 5 feet 8 inches, 5 feet 10 inches. The mode is 5 feet 8 inches (it occurs the most, at 2 times). 10. How to calculate IQR? 11. Define the measure of shape. For distributions summarizing data from continuous measurement scales, shape of graph can be used to describe how the distribution rises and drops. Symmetric – Distributions that have the same shape on both sides of the center are called symmetric. A symmetric distribution with only one peak is referred to as a normal distribution. Skewness – Skewness is a measure of the asymmetry of the probability distribution of a real-valued random variable about its mean. The skewness value can be positive or negative, or even undefined. The qualitative interpretation of the skew is complicated and unintuitive. 12. What is positive skeweness and negative skewness? 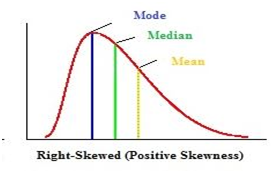 Positively skewed – A distribution is positively skewed when is has a tail extending out to the right (larger numbers) When a distribution is positively skewed, the mean is greater than the median reflecting the fact that the mean is sensitive to each score in the distribution and is subject to large shifts when the sample is small and contains extreme scores. 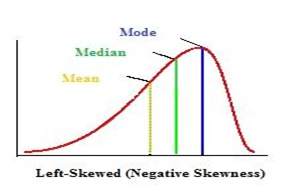 Negatively skewed – A negatively skwed distribution has an extended tail pointing to the left (smaller numbers) and reflects bunching of numbers in the upper part of the distribution with fewer scores at the lower end of the measurement scale. 13. What is the correlation? Correlation is one of the most basic and important concepts in data science. In a layman language, it is used to get the degree of relationship between 2 variables. For example – Height and Weight are related i.e. taller people are generally heavier than the shorter one. But, the correlation between these might not be perfect. Consider the variables family income and family expenditure. It is well known that income and expenditure increase or decrease together. Thus they are related in the sense that change in any one variable is accompanied by the change in the other variable. 2. The strength of the relationship. Correlation is a powerful tool that provides these vital pieces of information. In the case of family income and family expenditure, it is easy to see that they both rise or fall together in the same direction. This is called a positive correlation. 14. What are the two types of regression? 15. What is Linear Regression? Starting with Linear Regression Analysis, It is basically a technique used to determine/predict the unknown value of a variable by looking at the known values. If X and Y are two variables which are related, then linear regression helps you to predict the value of Y. A simple example can be the relationship between age of a person and his maturity level. So we can say that these 2 are related and we can guess the maturity level of the person. This is the linear regression of Y on X where a and b are unknown constant and slope of the equation. Choice of linear regression is one of the most important parts of applying it. For example, suppose you want to have 2 variables, crop yield (Y) and rainfall (X). Here the construction of the regression line of Y on X would make sense and would be able to demonstrate the dependence of crop yield on rainfall. We would then be able to estimate crop yield given rainfall. If the regression coefficient of Y on X is 0.53 units, it would indicate that Y will increase by 0.53 if X increased by 1 unit. A similar interpretation can be given for the regression coefficient of X on Y. 16. What is multiple linear regression? As the name suggests, multiple linear regression uses 2 or more variables as a predictor to get the value of the unknown variable. For example, the yield of rice per acre depends upon the quality of seed, the fertility of soil, fertilizer used, temperature, rainfall. If one is interested to study the joint effect of all these variables on rice yield, one can use this technique. An additional advantage of this technique is it also enables us to study the individual influence of these variables on yield. Here b0 is the intercept and b1,b2,b3, etc. are analogous to the slope in the linear regression. You need to know whether your regression is good or not. In order to judge your regression model examine the coefficient of determination(R2) which always lies between 0 and 1. The closer the value of R2 to 1, the better is the model. A related question is whether the independent variables individually influence the dependent variable significantly. Statistically, it is equivalent to testing the null hypothesis that the relevant regression coefficient is zero. This can be done using t-test. If the t-test of a regression coefficient is significant, it indicates that the variable is in question influences Y significantly while controlling for other independent explanatory variables. 17. What are the major differencws between Linear and Multi linear regression? As an example, let’s say that the test score of a student in an exam will be dependent on various factors like his focus while attending the class, his intake of food before the exam and the amount of sleep he gets before the exam. Using this test one can estimate the appropriate relationship among these factors. 18. What is Logistic Regression? Logistic regression is a class of regression where the independent variable is used to predict the dependent variable. When the dependent variable has two categories, then it is a binary logistic regression. When the dependent variable has more than two categories, then it is a multinomial logistic regression. When the dependent variable category is to be ranked, then it is an ordinal logistic regression (OLS). To obtain the maximum likelihood estimation, transform the dependent variable in the logit function. Logit is basically a natural log of the dependent variable and tells whether or not the event will occur. Ordinal logistic regression does not assume a linear relationship between the dependent and independent variable. It does not assume homoscedasticity. Wald statistics tests the significance of the individual independent variable. 19. Can Standard Deviation be False? Since the differences are squared, added and then rooted, negative standard deviations are not possible. 20. What is p-value and give an example? In statistical significance testing, the p-value is the probability of obtaining a test statistic at least as extreme as the one that was actually observed, assuming that the null hypothesis is true. If the p-value is less than 0.05 or 0.01, corresponding respectively to a 5% or 1% chance of rejecting the null hypothesis when it is true (Type I error). * p-value of observation O given H0 = Prob(≥ 14 heads or ≥ 14 tails) = 0.115. The calculated p-value exceeds 0.05, so the observation is consistent with the null hypothesis — that the observed result of 14 heads out of 20 flips can be ascribed to chance alone — as it falls within the range of what would happen 95% of the time were this in fact the case. In our example, we fail to reject the null hypothesis at the 5% level. Although the coin did not fall evenly, the deviation from expected outcome is small enough to be reported as being “not statistically significant at the 5% level”. This page will be updated every few days. Keep checking the page.